Great Places to Get Moving in RVA | Gastrointestinal Specialists, Inc. It will soon be time to break the habit of staying inside as the Summer winds down in Richmond and it finally begins to cool off! As we’ve said before, sedentary lifestyles have been linked to the development of diseases like heart disease and certain cancers. You don’t have to commit to hours of vigorous exercise, just commit to being active. Richmond is a great city for active people so we decided to make of list of great spots to hit for walking, jogging, bike riding or other activities. Tucked away in Northside, Bryan Park has a lot to offer. There’s a trail for walking, running or biking, and a great Frisbee golf course. There is also a weekly market and plenty of bird and nature walks to join. Another great spot with a trail for running and walking. There are also exercise stations along the trail, tennis courts, softball fields, and an amphitheater that hosts many musicians and festivals. Byrd Park is located in the West End. Located next to each other, these islands are along the river and are host to many runners, walkers and bikers. Both islands are historical spots with lots of interesting things to read about as you explore. Browns Island has a big grassy area for Frisbee or yoga. Belle Isle has a suspension bridge that leads to it, a trail for hiking, jogging or biking and plenty of spots to dip your toes into the river. The best thing about Chimborazo Park is the view. You can see most of Richmond from this 30-acre Church Hill park. It’s a great place to go for a stroll or a run, there’s a miniature Statue of Liberty, a dog park, a playground, and lots of history! You haven’t enjoyed Richmond to its fullest until you’ve walked up and down Monument Avenue! Between the giant houses, the giant monuments and everything in bloom, there are a lot of great things to see. 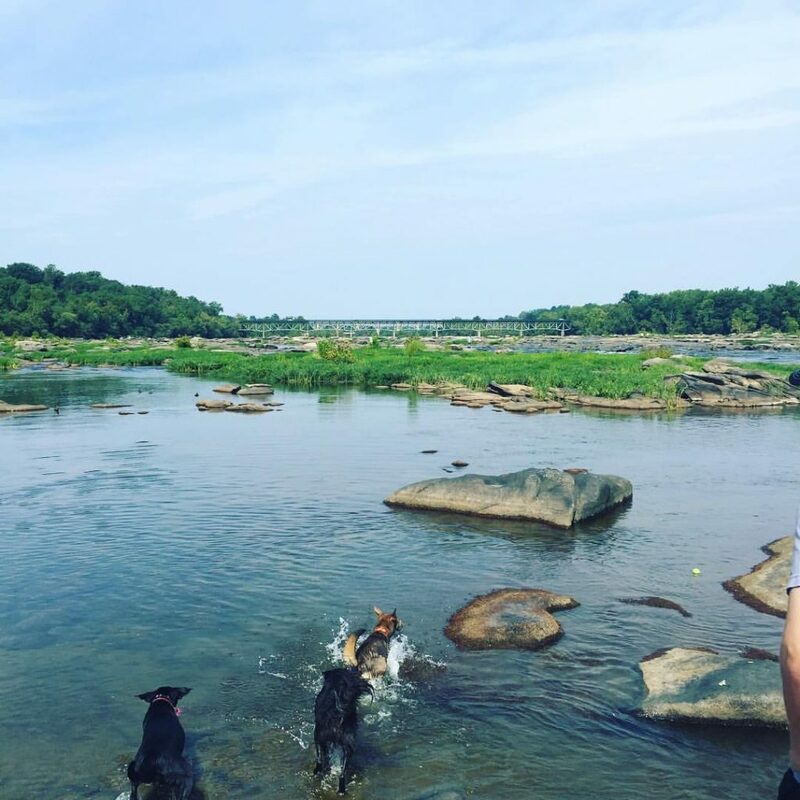 There are lots of great activities to do along and in the James River. Canoeing, rafting, swimming, running along the river, and much more! If you sit for prolonged periods throughout the day, make yourself get up and go for a short walk and commit to being active after work and/or on the weekends. Exercise is important for good digestion and disease prevention. There are a ton of great places in Richmond to go – what are your favorites?